Ever wonder how some buyers act so quickly when a new listing comes on the market? They set up "just listed" alerts in their target communities and never miss a new listing. They receive an email anytime a new listing comes on the market in their favorite area. New listing alerts ensure that they don't ever miss out on the home or condo they've been dreaming about. 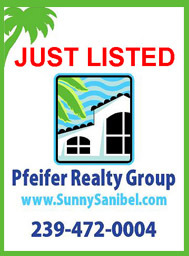 SAVVY BUYERS set up JUST LISTED ALERTS! REQUEST new listing alerts...and your DONE! YES, it's that easy! Don't miss another new listing!